H.E. Mrs. Narinder Chauhan, Ambassador of India to the Czech Republic met H.E. Mr. Jiri Sir, Deputy Minister of Agriculture and Special Advisor to the Minister of Agriculture of the Czech Republic. Both sides discussed collaboration in the field of agriculture and the upcoming Food Processing Technology Summit being held in the Czech Republic from 9-11 April, 2019. 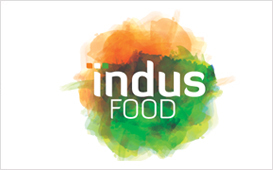 A four member delegation from India is expected to participate in the Summit which includes visits to various food processing industries and centres including Zvu Strojirny in Hradec Kralove; Mopos in Olomouc; Velteko and Viking Mašek in Vlašim; Pacovske strojirny in Pacov; Budweiser Budvar in Ceske Budejovice; and Czech Brewmasters company etc.